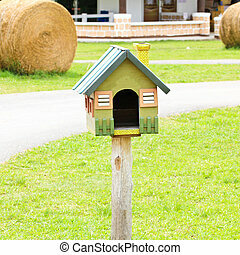 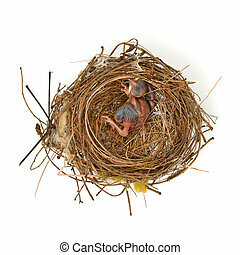 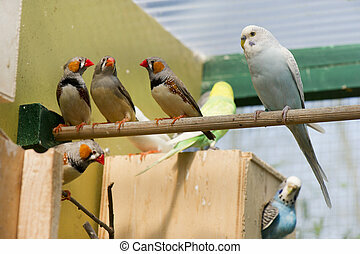 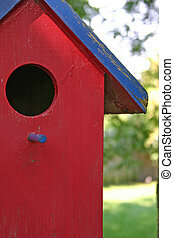 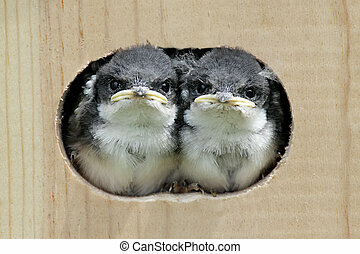 Baby birds in a bird house. 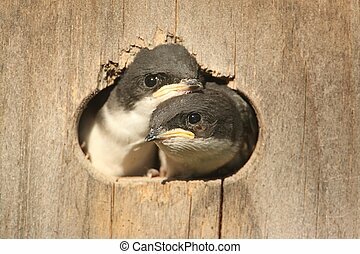 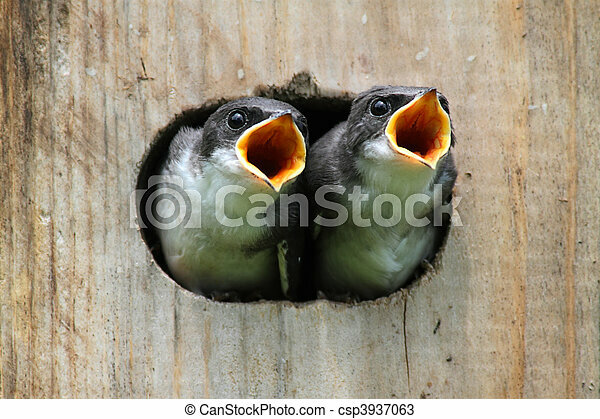 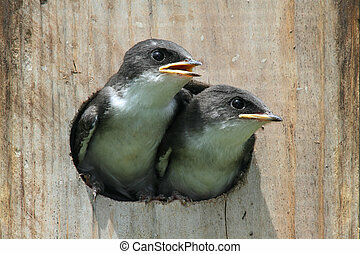 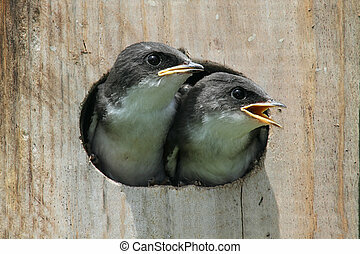 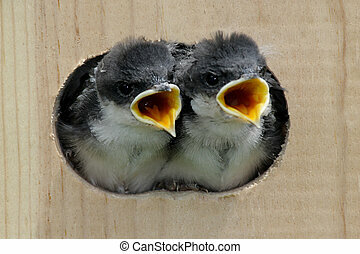 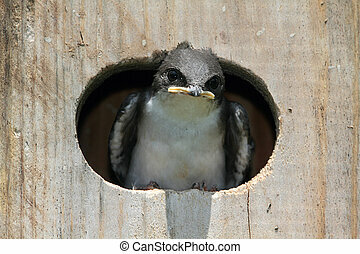 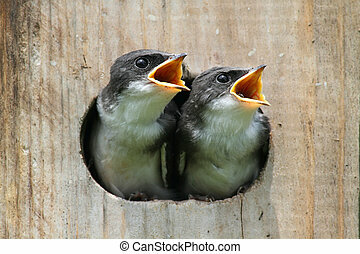 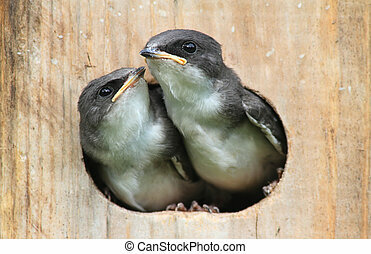 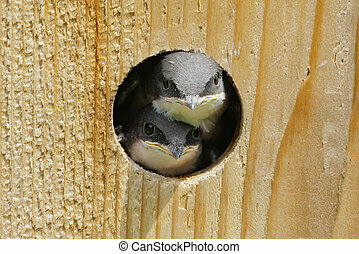 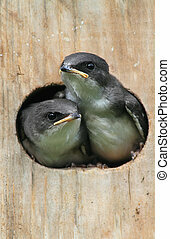 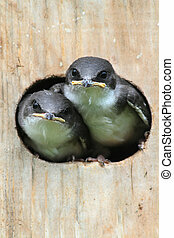 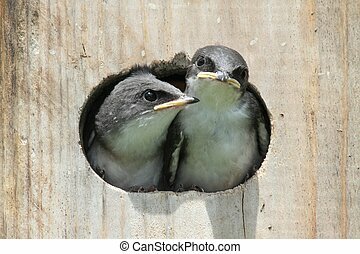 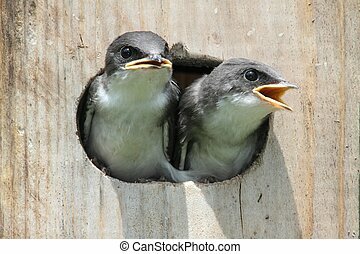 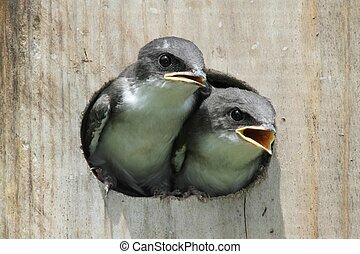 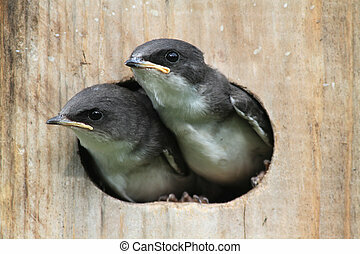 Pair of hungry baby tree swallows (tachycineta bicolor) looking out of a bird house begging for food. 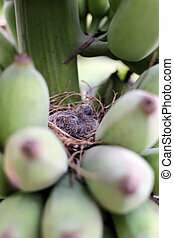 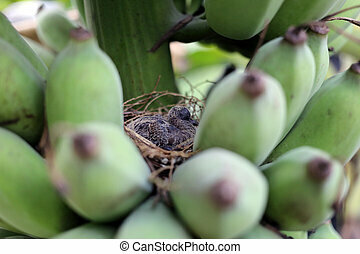 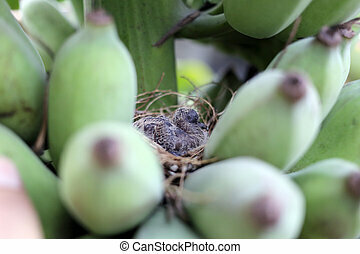 Baby birds in a nest on a banana. 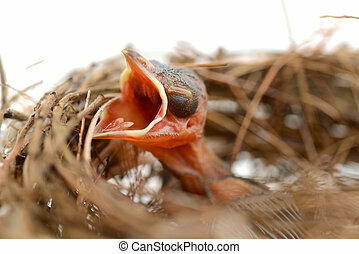 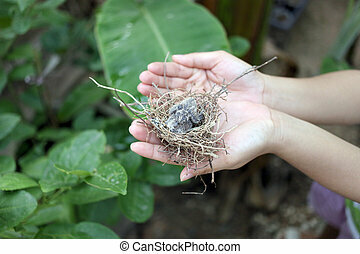 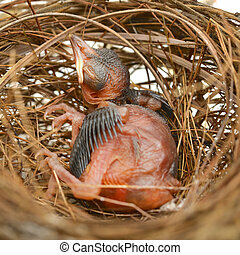 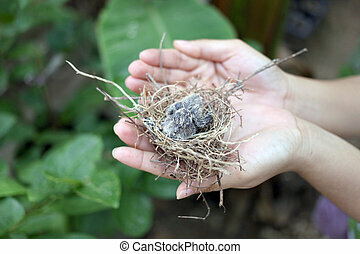 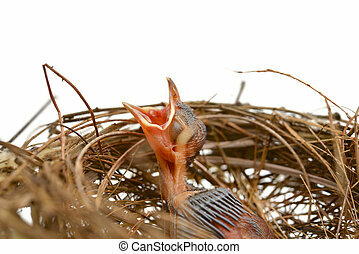 Baby birds in a nest on a woman's hand. 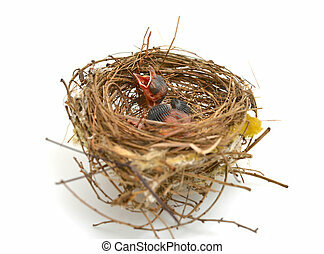 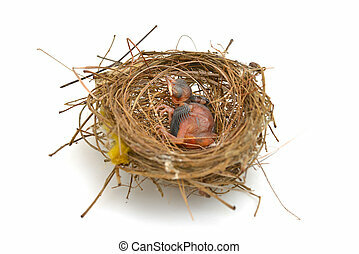 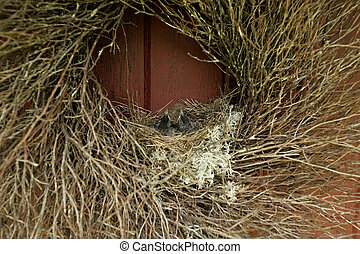 Baby birds in a nest inside a wreath on a door.